Discussion in 'GMC Jam' started by Alice, Jul 29, 2016. Can you help a settlement survive in this apocalyptic world? See how long you can make it until Everyone is DEAD. 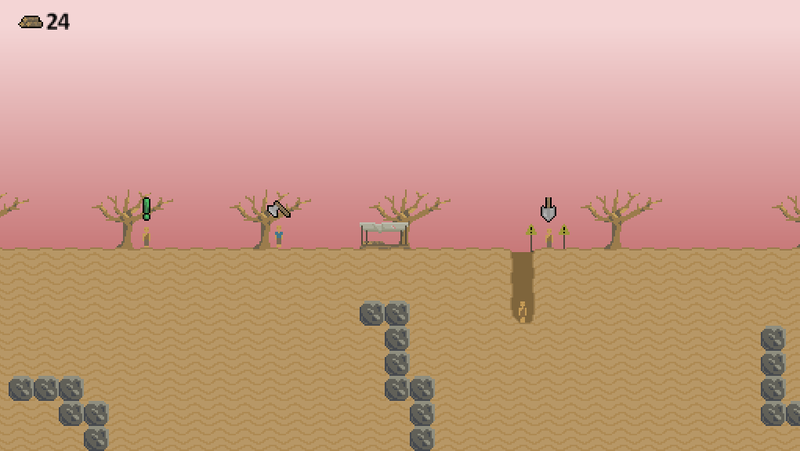 Click to chop down trees, dig holes, and build shelter to try to survive! I'm starting this game jam a day late, and won't have time to use the third day. 20 hour game jam, commence! Several cups of coffee, 8 hours, and no real food later, I'm finally starting to get to some real gameplay. - ladders, shelter, sideways digging, and meteors! I've been working for about 14 hours now, with only a few breaks. I can feel my brain spinning a bit as the delirium begins to set in. Must. Keep. Going. Aiming for a final upload in about 4 hours. 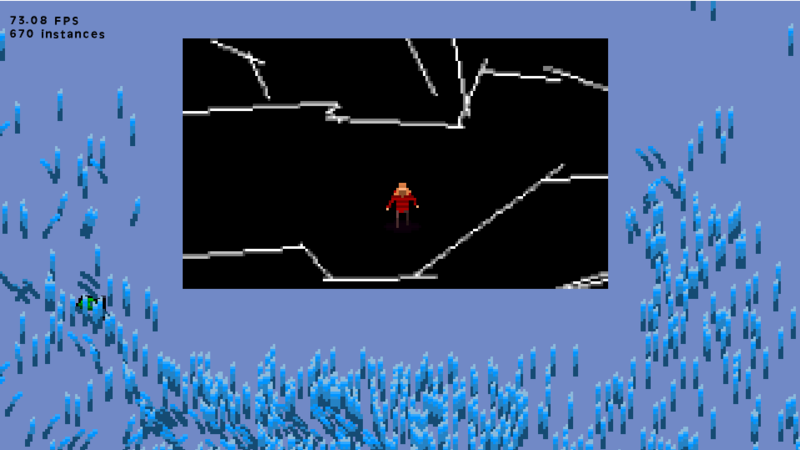 - very basic game cycle complete, as the meteor shower picks up and threatens to destroy everything you ever knew. - fortifications to protect against the meteor shower! - more? . . . I'm so tired everything hurts. I'm about to fall asleep at the computer. 19 hours of straight programming proves too much. I give in. 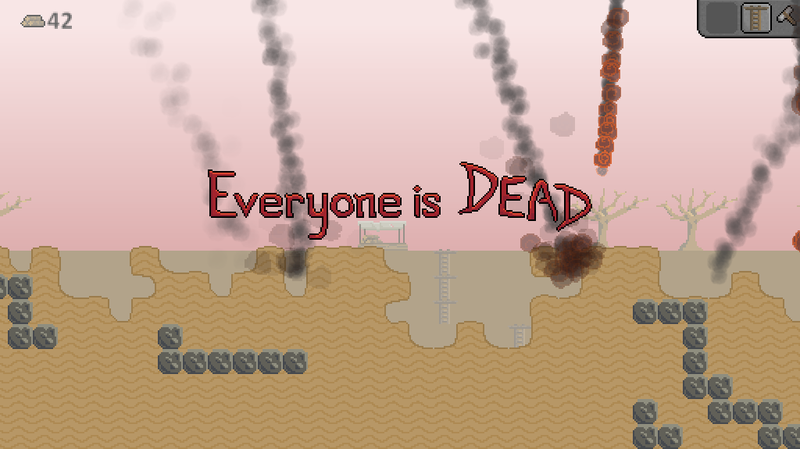 Everyone is DEAD ... especially me. 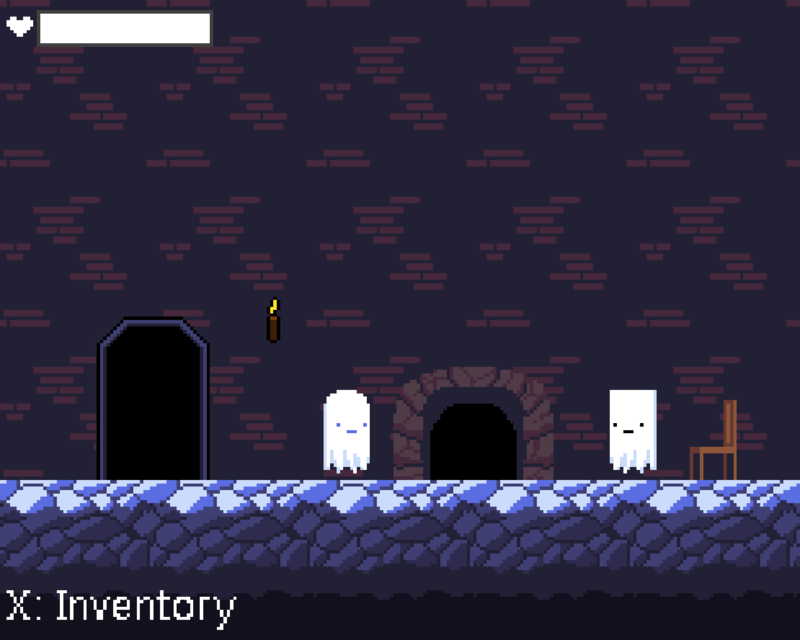 - new sprites - shelter, timer, font, etc. - added countdown timer, etc. - mine coin from stone. - use coin to upgrade starting base. Alice, The M, ZombieLawyer and 5 others like this. The world at its end, insects feed on the corpses and swarm the world. Control your evolved swarm through an apocaliptic world, growing it and wreaking havoc along the way. Messing around with path finding and physics objects. Thats hen i got the idea: You control a swarm of flies in a post apocaliptic world, devouring dead corpses along the way to grow your numbers. Spoiler: T - 1d 13h. The animation on the bodies wraps, when it really shouldnt. A bug i cant seem to fix. Made some levels and testing some gameplay. Added some sound. Quite happy with the wind effect changing with number and speed of flies. Eating sound produced by my brother. 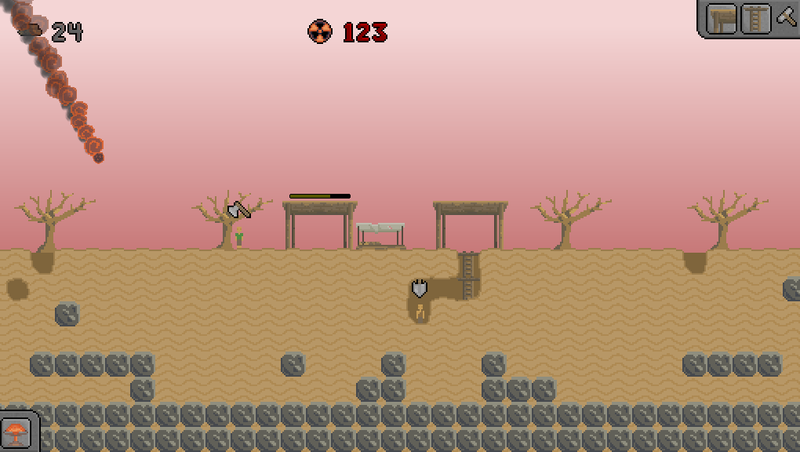 Added a couple levels (ell, just 1 more) and adjusted the disficulty. Tirous, Siolfor the Jackal, Zerb Games and 5 others like this. Made some stuff yesterday. Got my sister to do a sick soundtrack. Feeling really bad that you guys have way more finished than me. As you can see in the picture below, I got a bit distracted. Alice and Otyugra like this. You're the only remaining spirit of a long gone civilization and you won't rest until you take care of the plants trying to invade your graveyard. Worked like crazy to get everything done. Let's just hope there's no game breaking bugs. 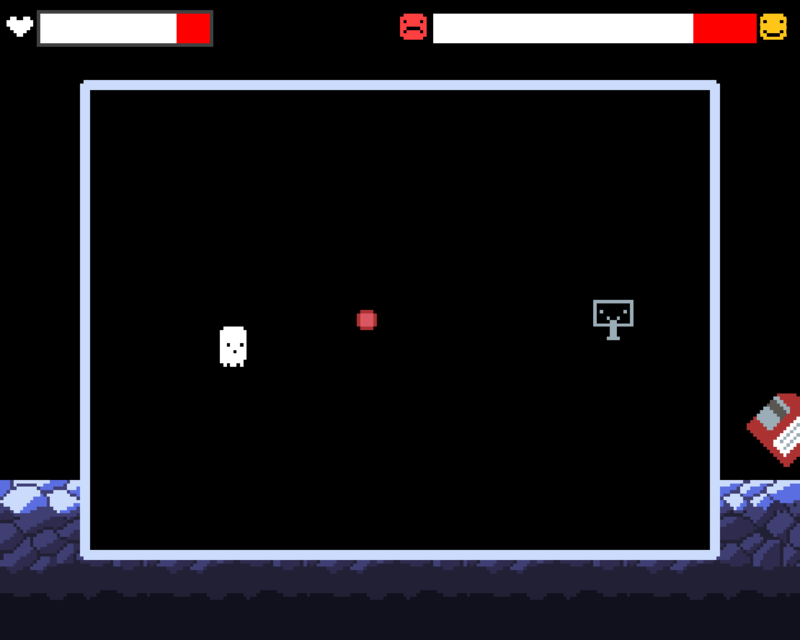 Created lots of graphics for enemies and am making steady progress programming them. Completed a day/night system and a cutscene system. Created sprites for and coded most of the playable character. Also created some tiles. Completed a very important algorithm. It took a while, but now it's time to get to business! Siolfor the Jackal, Alice, The M and 5 others like this. 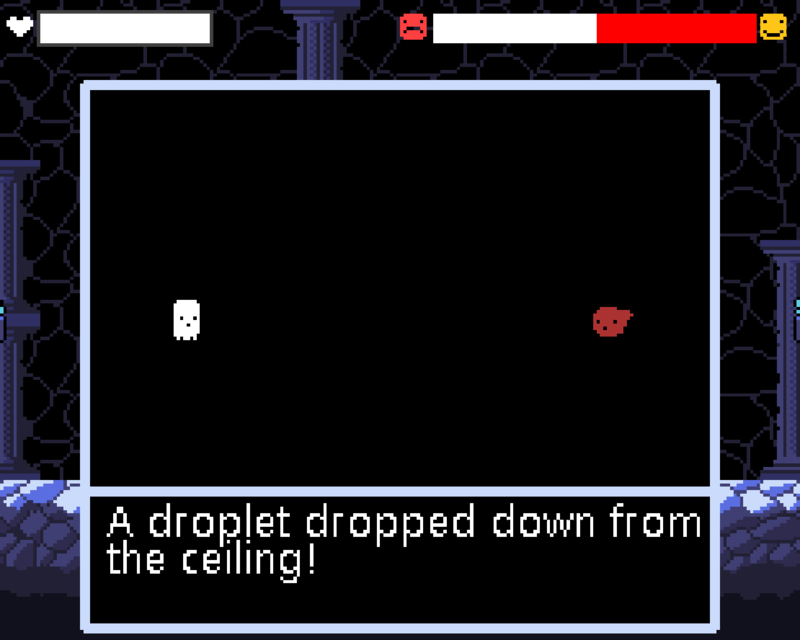 A game where you must help the two forces, the one in heaven and the other one underground. Everybody is dead, and all the souls are wandering to their final destination. * Made de game a little bit harder. * Made a new gif from game play. * New .gif added to this page. Nocturne, Galladhan, Alice and 1 other person like this. Day 1: Had no real idea to begin with. Started jamming over 8 hours late. Decided to go with a platformer. Had loose plot idea. Made sprites (character, floor, doors, stairwells) and coded stuff. Coded a manually controlled view system. Day 2: Finished stairwell code - they were a challenge. Coded doors. 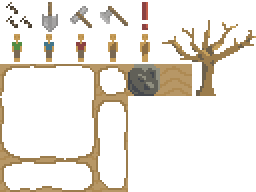 Made some more sprites and restyled some placeholders (zombies, floors, walls, character weapons). Developed story idea a little further. Day 3: I'm running out of time and getting virtually nothing done. If this even gets playable, it will only be a "first chapter" demo kinda game. That is, if I'm lucky. But on a high note, we have computer banks now! End of Jam: Well, once again, I didn't finish. Here it is anyway. Reviewers: please, be gentle. Alice, JackOatley, Lukas and 1 other person like this. WASD movement, space to teleport, left click to shoot, right click to build spikes. I again, did not do a devlog........... Oh well. Anyways here's a gif from a half finished version of it while I'm working on it. No matter what you think, it does relate to theme. Even if it doesn't I'll make it fit. pretty much crammed and finished looks ALOT better than in the prev gif. see if i have time to get a video up. Siolfor the Jackal and Alice like this. NOTE: Game takes 15seconds to generate world, you will hear music playing! Please be patient. "You find yourself the last survivor of a post-apocalyptic event...alone and desolate on a strange alien planet, your ships core needs repairing. You have managed to make a basic fire with the local purple grass...oh that grass you see it move sometimes in a strangely lively manner. What is in that grass!? Oh why did I have to crash on this godforsaken planet! I hope I can survive this..."
[E] = Interact or Use. Pick up plants, Fuel fire, Repair space ship core. You need to survive, while collecting parts to repair your space ship's core. Keep fueling your fire, by collecting grass and using it close by fire. While adventuring in the strange alien world, you need to fend off alien beasties. We developed box2d physics engine after watching the Heartbeast's RPG youtube videos and some ideas for an alien like survival planet, without crafting. Spent all day testing grass. 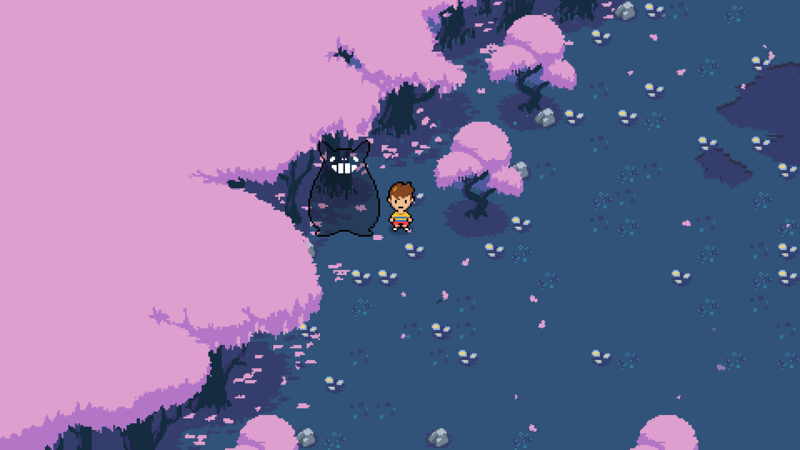 Really want mobs to be able to move through grass and even maybe hide in it. Spend most of the day discussing how to design the game, and constantly struggled to keep scope achievable. Bernard has some good story ideas, Morne just scared of all the work. Yay grass is working after 10 different tries and colors, and performance, etc. Really stressing since AI not too good, and we keep hitting against the box2D physics engine. After lots of debate, we dropped the code and started over re-coding without box2d physics. Mob AI still boring, but it works. Made the mistake to use FSm for mobs instead of taking the effort to code each one separately, still need to do this. Got some of the space ship survival mechanics in. Harvesting grass, and collecting spares to repair ships core. Basic combat. 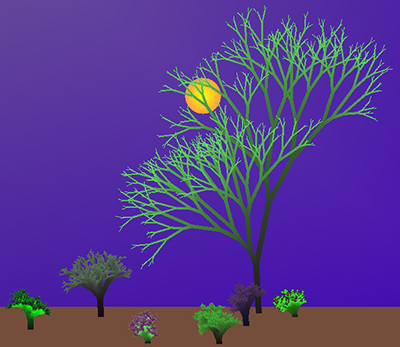 Still need to add in animations, and particle effects and create a game loop. Day 2 is all about the game loop. 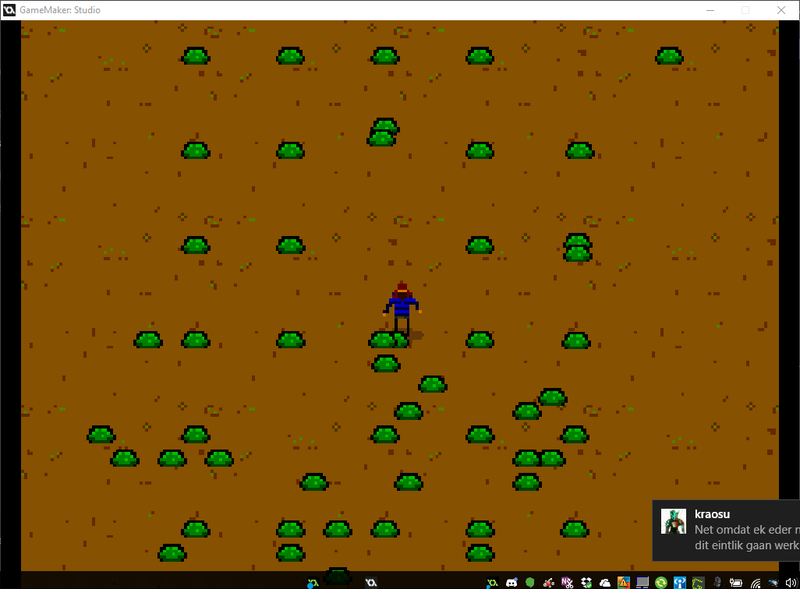 Created scripts to generate world grass in clumps, and had to spend 2 hours figuring out the best way to optimise fps. Optimisation worked now can leave mob AI active in the whole room and double room size. We only slept 2.5hours. Bernard helped recoding some of the animation facing, and decided to reprogram the AI and test mob smelling mechanics. Our goal was to have a few interesting enemy mobs, alas no time. We will probably add this post jam. Rushed in some SFX (I hope). 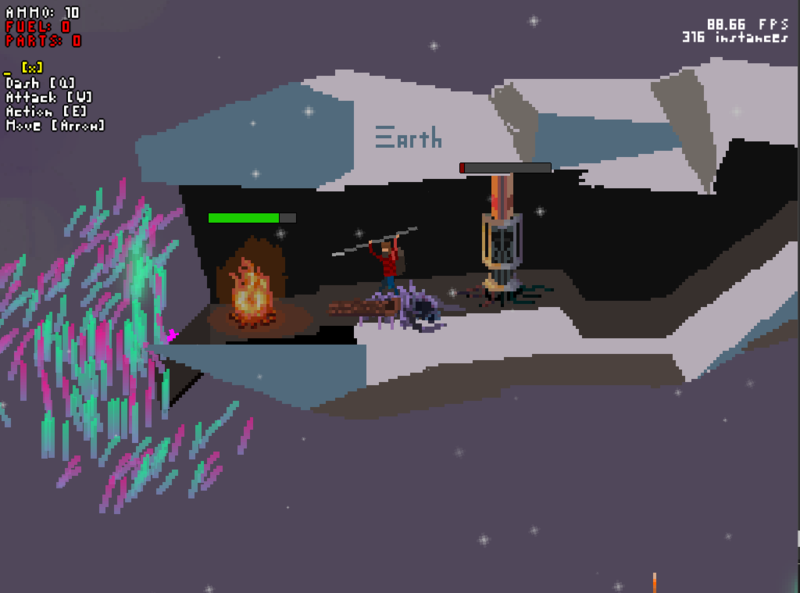 Added Shader for fire brightness inside ship, and particle snow effect. Worked on look of grass generation of word, keeing a close eye on the FPS counter seems fine always above 70FPS when room_speed is in anycase 30FPS. Killed lots of bugs, after making them - what fun! Created Itch.io download page, with screenshot and some SFX edits. Now final devlog update for GMC topic. Didn't go in to work today, want to submit - yay! If you are actually still reading, thank you so much! Please try out our game or prototype and let us know if you want to see us develop this further and what you'd like to see more? Good luck to all the rest! Kahvana, Lonewolff, Alice and 3 others like this. You are a robot who has to save the last human on earth from apocalyptic creatures. 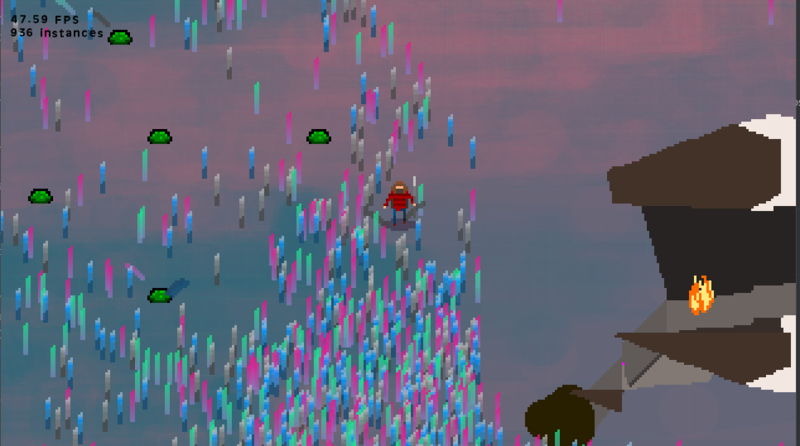 You can only shoot the monsters if you drop the human by pushing space. WASD to move. Click to shoot. If you let the human run out of health, everyone is dead. Game Over. 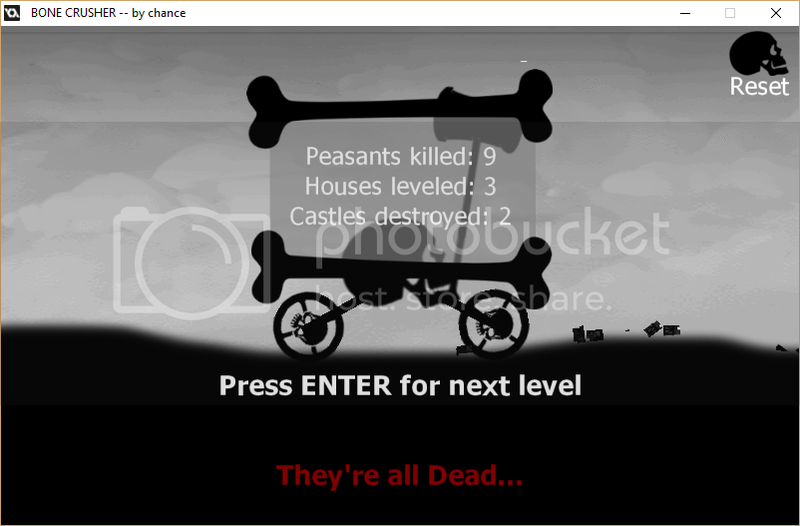 If you kill all the monsters, you get nothing but self satisfaction; no win screen. I was really stressed and just couldn't press on, so I said to myself, "Dude, finishing it isn't worth a heart attack! Just submit it and be done!" "Game Jam submissions are like pancakes; your first one is always the throw away." A Ghost and a Robot are searching the Earth for survivors of the apocalypse. After years of solitude, brought on by the sudden disappearance of every living creature except him, he finally reached an unprecedented level of loneliness. Traversing endlessly while trying to find the answer. What set this incident into motion? He might never find out. A man, his thoughs and his gun.  - All assets and scripts are made by me (except the font). - Used FreeMind to map out choices. - In windowed mode, dialog boxes and text is scaled incorrectly. To mend this, just right click the game exe (lonely.exe) -> Click "properties" -> Click on the "compatibility"-tab. Check the box which says "Disable display scaling on High DPI settings". 19:30 GMT+1: Started the project. Character limbs, and animation based on an old spriter interpreter I made. 18 and 1/2 hour left of the jam. 20:00 GMT+1: Basics done. 18h left. 20:53 GMT+1: Been writing a good chunk of dialog to test with. Starting work on the dialog system. 22:32 GMT+1: Most of the dialog is finished. 01:02 GMT+1: Mostly done. Some bugs needs fixing. 03:27 GMT+1: Been testing and tweaking for a while. Created some backgrounds, one new animation, and added an endgame state. 03:50 GMT+1: Close to finishing now. 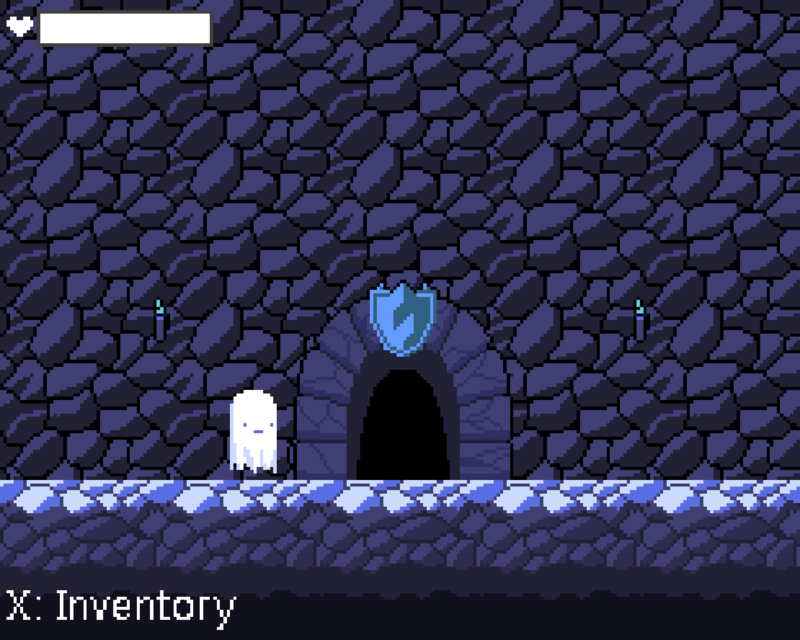 Just need to add a *simple* menu, and some sound/music. 04:26 GMT+1: Ramen time! (and yeah, added statistics at the end of the game). 04:44 GMT+1: I'm calling time now. Gonna get some screenshots and write some stuff for the entry, put the devlog up, eat some more, ect. ~9h left. 04:51 GMT+1: Devlog posted on GMC. Going to compile, upload and post ASAP. 05:58 GMT+1: Done with upload, description, info and al that good stuff! Now I just have to sit back and wait for someone to find a bug that I would never imagine could exist. 06:00 GMT+1: Posted on GMC! I'm going to sleep now! Take on the role of an infinitely respawning clone, and experiment with both colors and death to escape the dungeon lab. How many times will you die? Explore and learn as a child who has just entered the after life and offered an opportunity back to the land of the living ... but at what cost? Ninety, RichHopefulComposer, Morne and 5 others like this. Explore the caverns of the underworld, after you, the last person alive, dies. Sorry about the huge screenshots, I have no idea how to use spoilers. Ninety, Siolfor the Jackal, Alice and 2 others like this. Getting this in with only 4 hours to spare! This was tons of fun to make, even though it is a little buggy in parts. 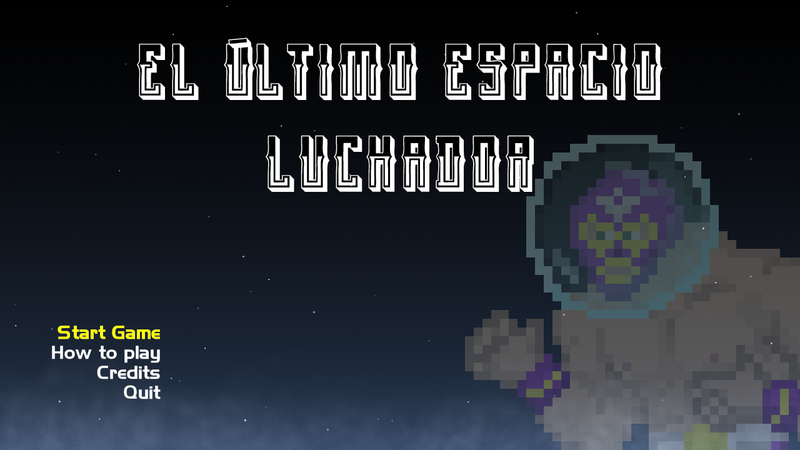 It was a real challenge to do things I have never done before in Game Maker and even though it's not great, I learned a lot and that to me is amazing! Wanted to wait until I had something relatively playable before I posted here. Also here's a list of known issues I've come across that I just didn't have time to fix. Also no devblog because I was stressing out over fixing bugs the entire time! I will say that my original idea was to play as a zombie who would attack civilians and turn them into zombies and create a giant horde, but then I thought vampires, who are undead (which by definition are "technically" dead) would be a more interesting choice. -Keyboard controls will not work if you have a gamepad plugged in. -Gamepad joystick will not work for the main menu (have to use arrow keys). -Turned villagers will all pile on one villager and as such will get caught running into walls. -Can constantly heal by using the "turn" attack. -Pause menu was completely broken and thus taken out. -Normal villagers will have a red health bar. -Villagers that are turning will have a blue health bar that fades to purple. -Turned Villagers will have a teal health bar. -The player has a green health bar. -You can not attack turned villagers. -The bat is just there as a little "pet" to follow you around, cause why not. 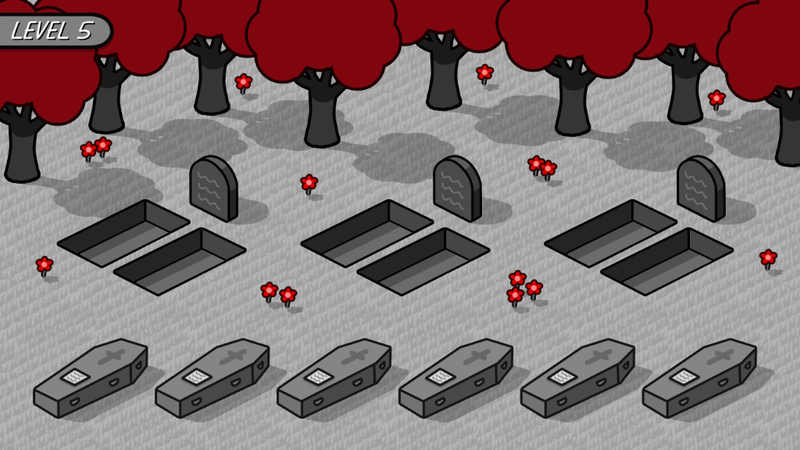 Use the information written on the gravestones and coffins to place each coffin into the correct grave. Siolfor the Jackal, Galladhan, Alice and 2 others like this. Game uses network connectivity to share replays. Siolfor the Jackal, Morne and Alice like this. Idea: In the far future, a rogue AI has destroyed humanity and absorbed everyones memories into itself. You, the last human alive, have the task of recovering all of humanities memories and resurrecting the human race! Game Mechanics: The game is simple - fly around and kill everything while collecting the shards of memory crystals that you find. As the game progresses you can tap into these memory crystals to get memories from specialists and upgrade your ship. Finish the game and resurrect humanity to win! Controls: 100% Gamepad supported, or keyboard. Gamepad left stick = ture, right stick, thrust, Face1 or triggers = shoot. Keyboard WASD or Arrow Keys and Space. ESC pauses the game. I will most definitely be continuing with this project as the game mechanics are smooth as silk, and with the upgrades, more levels and some nice polish I think it'll be a fun little blaster! Siolfor the Jackal, Morne, zminusone and 5 others like this. It's a thing, I guess. Controls: Move with WASD or arrow keys. Yes, I made no attempt to follow the theme. Forgive me. FROGANUS, Siolfor the Jackal and Alice like this. FROGANUS, Otyugra and Alice like this. OK, here's my (short as usual) Jam entry. It's a two-level game patterned after a popular flash game called Supergoblin War Machine. Basically, the goal is to destroy everything and make sure "they're all dead". So it was a good theme fit. 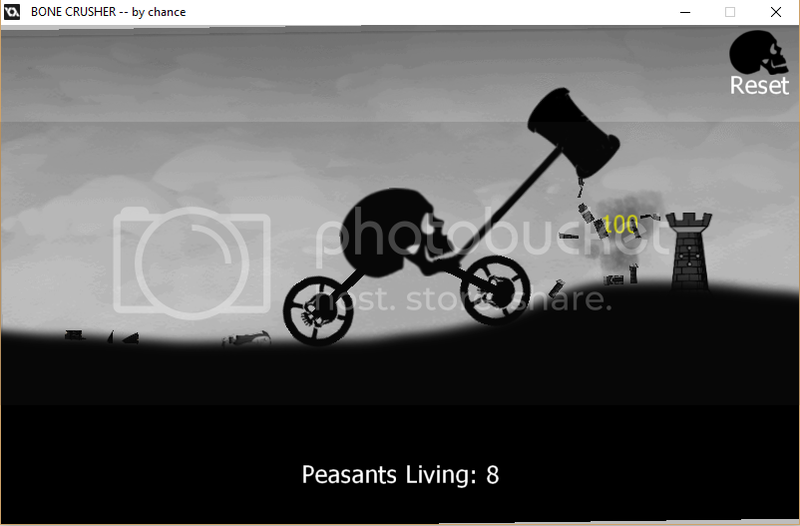 The challenge is smashing peasants and their feeble structures. Sometimes they jump out of the way, or hide in building rubble. So look carefully. Keep smashing until they're all dead. It was an opportunity to use my favorite box2d. The war machine has custom springy wheels based on a constrained strut idea I've been playing with. The hammer is constructed using a motorize revolute joint attached to the edge of structure. So the hammer blows create a nice reaction force on the buggy. I refined my physics-based debris effect. When a structure is destroyed, it's broken into dozens of smaller physics-fixtures that receive an outward impulse. So they behave like flying rubble. 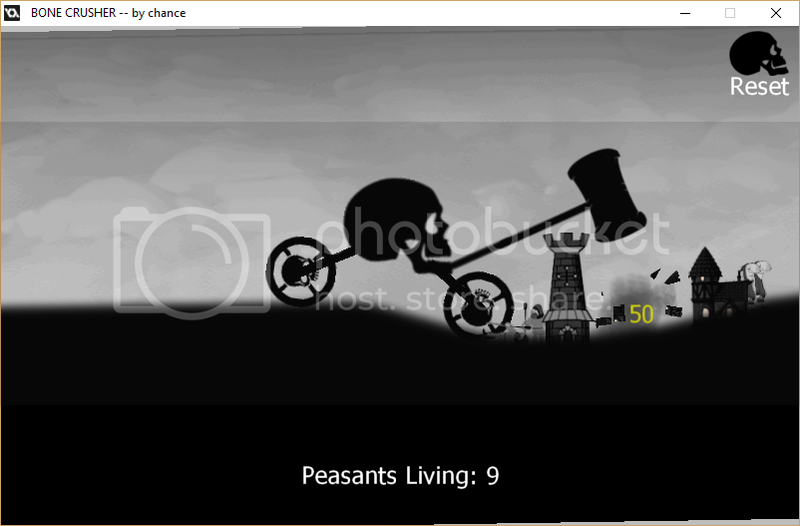 Some graphics are hand-drawn, like the terrain, wheels and hammer, and one of the peasants. The rest were assembled from "spare parts" of open-source material I've collected over the years from free "coloring book" websites. I drew everything in monochrome, adjusted the contrast, and photoshopped it together. The sounds are short bites from a spooky theme I've had for years. Don't know the origin. I extracted bits and pieces, and created a "layered sound" with random alarms each playing a different sound bite. Siolfor the Jackal, Lonewolff, Galladhan and 3 others like this. Siolfor the Jackal, Alice and aamatniekss like this. T_T small problem, but it's good I promise. Instructions: Included in-game. The only thing not explained is getting to the exit. Look for the exit and walk into it. You will enter the next room. The game is beatable, just finish 3 rooms. The file is pretty large, sorry about that. Unfortunately, because of the size, the very small problem relating to the random seed was not able to be uploaded in time. WHOOPS LOOKS LIKE GAME BREAKING GLITCH - LOL. If you get stuck behind a wall on game start, or if the exit is impossible to reach, try pressing the "end" key. If all else fails restart application! Sorry! Basic interaction system - from platformer. In this game you face cases where Everybody is dead. Clearly the culprit commited suicide after killing everyone else, but who is it? Read the letters of the victims (and the killer) and try to discover the killer. It's honnestly hard, but it's also fair. The result is shown after an attempt. When you "get it" it's much better yet still challenging. Siolfor the Jackal, Alice and The M like this. With literally 30s to spare too! Morne, Alice and Nocturne like this. 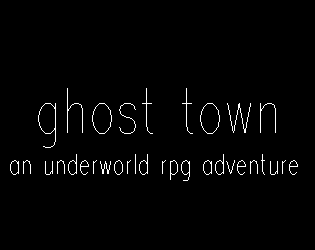 Quick Note: This game was done in ~5 hours I didn't have as much time as I had hoped for, but I got what I could call a decent engine going. I would of liked to accomplish a lot more, and really spend a lot of time tweaking for """game feel""", or whatever you wanna call it. Overall I could say the concept is there which I am happy with, enjoy! Made a quick prototype thing.